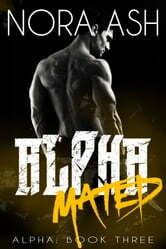 Being mated to an alpha was never part of Leigh’s plans. As much as the man who’s claimed her as his heats up her bed and sets her body on fire, she’s not ready to give up everything for an alpha she hardly knows. Especially not after all the lies and deceit he’s spun to keep his real identity hidden from her.